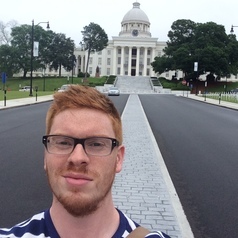 Ruari Shaw Sutherland is an ESRC funded PhD candidate in the Institute of Geography at the University of Edinburgh. He holds a First Class BA (joint hons) in Geography and Sociology from the University of Strathclyde and an MScR (with distinction) in Human Geography from the University of Edinburgh. His MSc Research thesis, titled: 'A Man's a Man for A' That'? Constructions of the civic Nation in the rhetoric of the Scottish Defence League and the Scottish National Party, won the Human Geography MScR best dissertation prize and the MScR Publishing Prize. His PhD examines the production, circulation, and impact of racist hate ideology in online and offline spaces.